Cascais Billabong Pro runs October 7th - 11th at Carcavelos, Cascais - Portugal. Stu Kennedy and Adam Melling will be there lining up against the world's best. Mello starts in Ht 7 and Stu is in Ht 15. Good luck fellas. Mello and Stu both surfed well to progress in round 1 in solid overhead waves on a day when plenty of top seeds were eliminated. A great day for the fellas in a 6' -8' washing machine in Portugal with both Adam and Stu winning their heats and moving into the final 24. Mello perfectly exploited the big and critical sections with his signature power carves. Stu fought hard and took the win in the final minutes of his heat. His post heat interview left no doubt that he is ready to fight for his place on tour and unleash the Mongrel. Similar heavy conditions today and a lot of hard work. Mello was behind for most of a drma packed heat but found his 2 keepers within the last 2 minutes. He skipped a round and moved into Round 5. Stu surfed really well but just came up short of the win. He moved into Round 4. Stu had a big win over Marc Lacomare in more settled 3' -5' waves at Guincho in Round 4 with a 15.27 total. 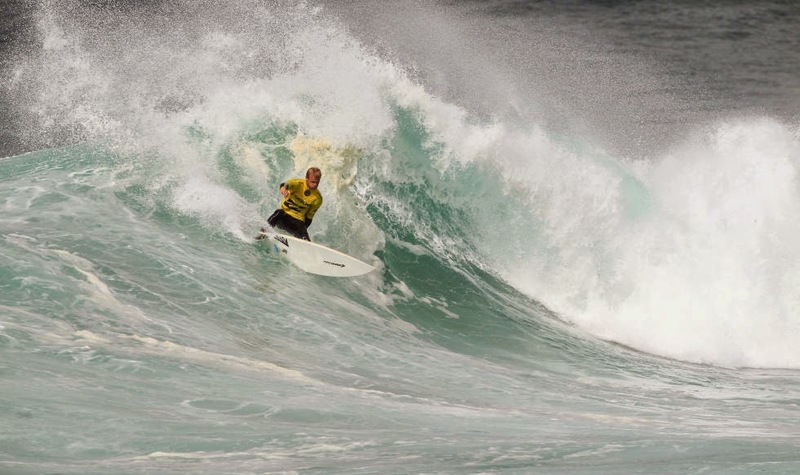 In Round 5 he took out WCT surfer F. Patacchia Jr. and moved into the Quarters and closer to an excellent result. Good on ya mate. Mello couldn't find the high scoring waves in his heat and finished with a 9th and moved much closer to requalification for 2015. Well done mate. An epic day for Stuey in Portugal today finishing the event in 2nd. He smashed Flores in the Quarters and JDub in the Semis. Things didn't go his way in the final, left chasing a back up. Congratulations mate.